 PWR+ Perform is a great tasting, all natural combination of Beetroot and Cherry Juice. It has been formulated and tested by professional athletes and is approved by Informed Sport. It is free from added sugar, preservatives, sweeteners or any artificial stuff. Drink as part of your pre-work out ritual. 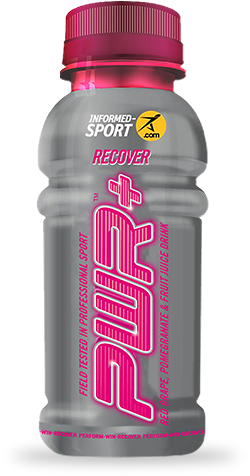 PWR+ Recover is a great tasting, all-natural combination of Red Grape, Pomegranate, Red Grapefruit, Aronia and Acai Berries. It has been formulated and tested by professional athletes and is approved by Informed Sport. PWR+ Recover is free from added sugar, preservatives or any artificial stuff. Drink as part of your post-work out ritual. 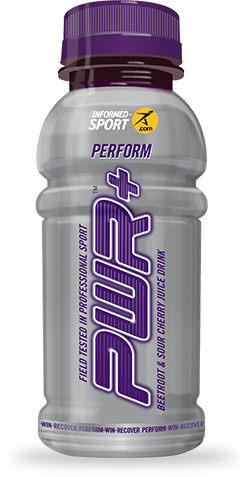 PWR+ SHOT is an all natural combination of Beetroot Juice Concentrate and 100% natural caffeine it has been formulated and tested by professional athletes and approved by Informed Sport. Free from added sugar, preservatives or any artificial nasty’s. Drink for an IMMEDIATE BOOST. Visit to find out why. Dietary nitrate supplementation reduces O2 Cost of low-intensity exercise and enhances tolerance to high intensity exercise in humans. J Appl Physiol 107: 1144-1155, 2009. Dietary nitrate supplementation enhances muscle contractile efficiency during knee-extensor exercise in humans. J Appl Physiol 109: 135-148, 2010. Acute and chronic effects of dietary nitrate supplementation on blood pressure and the physiological responses to moderate intensity and incremental exercise. Dietary nitrate supplementation reduces the O2 cost of walking and running – a placebo controlled study. J Appl Physiol: Nov 2010. Accute dietary nitrate supplementation improves cycling time trial performance. Medicine and Science in Sports and Exercise, American College of Sports Medicine, Mar 2011. Acute dietary nitrate supplementation improves dry static apnea performance. Respiratory Physiology & Neurobiology, May 2012. J. Appl Physiol: Nov 2011. Effects of dietary nitrate on oxygen cost during exercise. Acute blood pressure lowering, vasoprotection, and Antiplatelet properties of dietary nitrate via bioconversion to nitrate. Hypertension – the journal of the American Heart Foundation: Feb 2008. Inorganic nitrate supplementation lowers blood pressure in humans. Role for nitrate – derived NO. Hypertension – the Journal of the American Heart Association: Jun 2010. A toast to health and performance!  Beetroot juice lowers blood pressure and the O2 cost of exercise. Connolly DA, McHugh MP, Padlla-Zakour OI, Carlson L, Sayers SP.  Efficacy of a tart cherry juice blend in preventing the symptoms of muscle damage. Howartson G, McHugh MP, Hill JA, Brouner J, Jewll AP, van Someren KA, Shave RE, Howatson SA. Kuehl KS, Perrier ET, Elliot DL, Chestnutt J.
Efficacy of tart cherry juice in reducing muscle pain during running: a randomised controlled trial. Howartson G, Bell PG, Tallent J, Middleton B, McHugh MP, Ellis J. Sports and Exercise Research Centre, London South Bank University, Bowtell JL, Sumners DP, Dyer A, Fox P, Mileva KN. McAnulty LS, Nieman DC, Dumbke CL, Shooter LA, Henson DA, Utter AC, Milne G, McAnulty SR.
Effect of blueberry ingestion on natural killer cell counts, oxidative stress, and inflammation prior to and after 2.5 h of running. Molecular Nutrition Group, School of Chemistry, Food and Pharmacy, University of Reading – Reneiro C, Vauzour D, Kean RJ, Butler LT, Rattray M, Spencer JP, Williams CM. Blueberry supplementation induces spatial memory improvements and region-specific regulation of hippocampal BDNF mRNA expression in young rats. Psychopharmacology (Berl). 2012 Oct;223(3):319-30. Epub 2012 May 9. Crit Rev Food Sci Nutr. 2011 Aug;51(7):626-34. “The bioactivity of pomegranate: impact on health and disease.” Faria A, Calhau C. Biochemistry Department (U38-FCT), Faculty of Medicine, University of Porto, 4200-319, Porto, Portugal. Nutr Rev. 2009 Jan;67(1):49-56. “Pomegranate juice: a heart-healthy fruit juice.” Basu A, Penugonda K. Department of Nutritional Sciences, 301 Human Environmental Sciences, Oklahoma State University, Stillwater, Oklahoma 74078-6141, USA. S. Gorinstein, A. Caspi, I. Libman, H. T. Lerner, D. Huang, H. Leontowicz, M. Leontowicz, Z. Tashma, E. Katrich, S. Feng, S. Trakhtenberg. Red grapefruit positively influences serum triglyceride level in patients suffering from coronary atherosclerosis: Studies in vitro and in humans. J. Agric. Food. Chem. 2006 54(5):1887 – 1892. 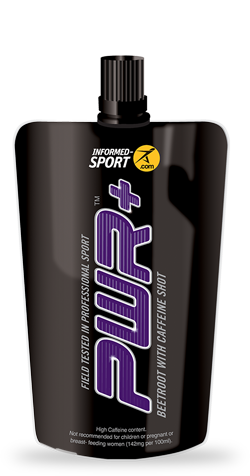 PWR+ drinks enhance performance, aid recovery and improve results when combined with smart nutrition, training and sleep. Try it for 5 days and notice the difference. I did”.